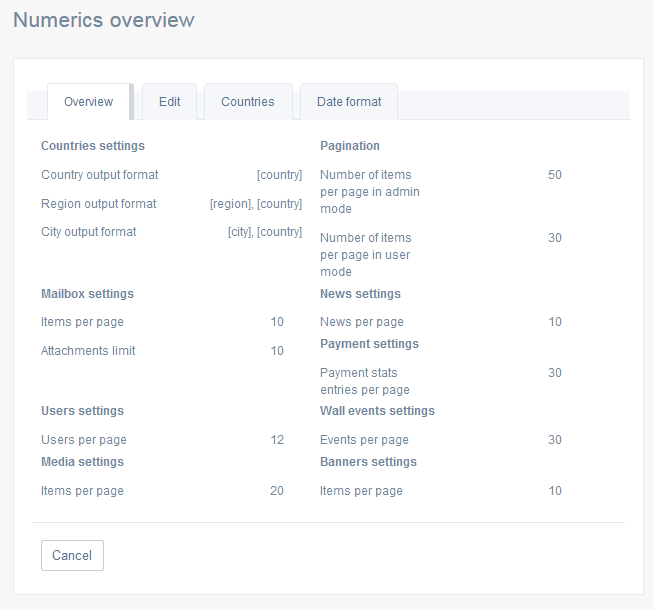 This tab (/admin/start/settings/overview) contains the overall statistics of current numerics taken from other tabs. In this tab (/admin/start/settings/numerics) you get to define how many items should be displayed in the lists/search results. Adjust the settings according to your idea of convenience. You may wish to not overload some pages with elements (such as profiles in the search results page), or you may wish to pack as much information as possible into one page (as in the inbox) to give users a clear overview. Click on any of the lines to expand it. 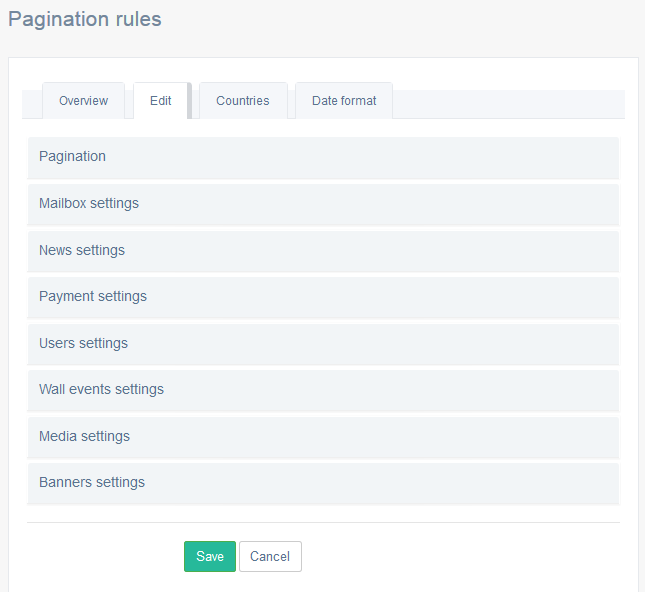 The Pagination setting refers to the number of profiles displayed in search results (for user mode) and the number of elements in the lists (for admin panel). This tab (/admin/start/settings/countries) reflects the parametres of how the locations are presented. 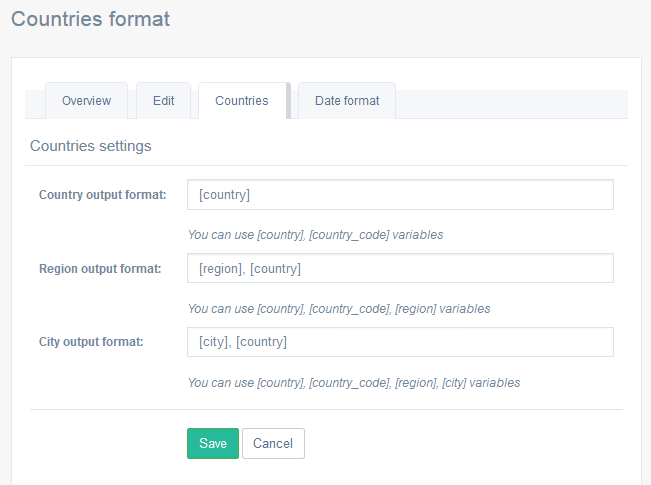 The variables presented at the bottom of each field allow to vary the output. 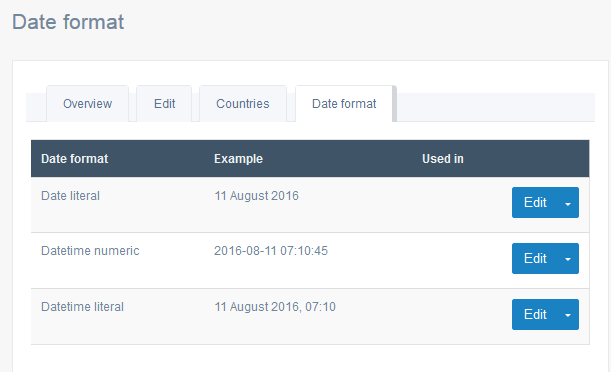 This tab (/admin/start/settings/date_formats) contains the settings for the date to be diplayed in numerical, literal or datetime form. Click Edit to go to the corresponding settings. 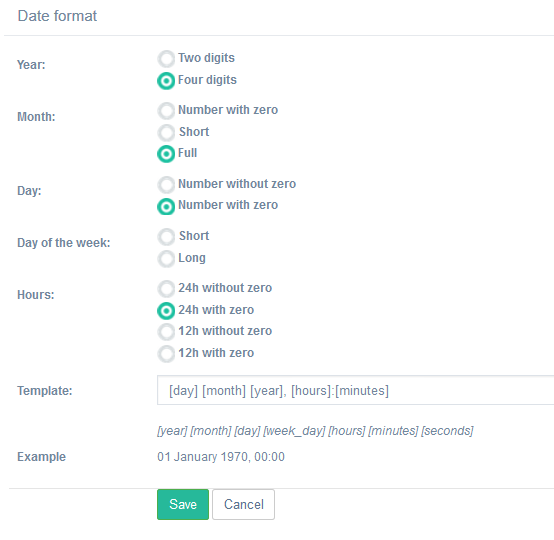 The available parameters will depend on the type of the date output.